29 In Your Dreams Brah! Abandon All Ships is a Canadian rock band from Toronto, Ontario. Formed in 2006, the group is currently signed to Universal Music Group, Underground Operations along with Rise Records and its subsidiary, Velocity. The band has since released a self-titled EP independently in 2009 and one full-length studio album, Geeving in 2010 through Universal and Rise. Abandon All Ships was founded in 2006 in Toronto, Ontario, originally playing covers of Norma Jean songs. Most of the band members attended Dante Alighieri Catholic Secondary, including lead vocalist Angelo Aita, keyboardist Sebastian Cassisi-Nunez, and first guitarist David Stephens. The three just started the band to play gigs and their career escalated from there. They eventually toured and opened for many larger bands in their same genre or home country such as Silverstein. 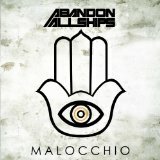 Abandon All Ships widely were thought to be a Christian band, but this is controversial due to the band's regular use of profanity and suggestive lyrics in their songs and eventually settled the debate that while a majority of the members are Christians, the band is not a Christian band. 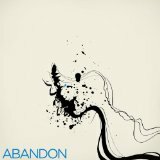 Abandon All Ships quickly became popular on the Internet through MySpace, and were noticed even more after their appearance on the MuchMusic's television program Disband early-on in their career.